People almost always ask us if we offer this or that service. That’s fair enough—the linguistic offerings at a company dedicated to translation are broader than most people would expect. 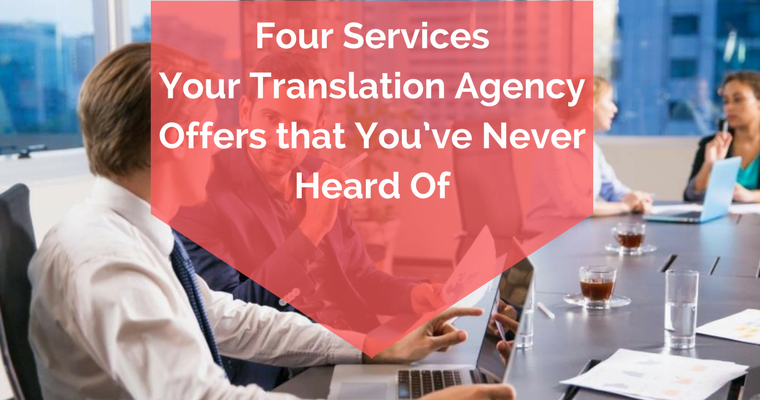 But, since you asked, we’ll make the most of the question and tell you about four linguistic services your translation agency offers that you’ve probably never heard of. The list is actually longer than that, but today we’ll limit ourselves to just these four. Why? Because most of the questions we get along the lines of “can you do this?” relate, somehow or another, to these points. Just like English, Spanish sometimes changes radically or takes on different nuances depending on the region. In fact, there are over 20 different varieties around the world. This is something you shouldn’t overlook if you want your messages to be clear and accurate. Is your marketing material aiming at audiences in Argentina, Chile, Colombia, Panama, Peru, Venezuela or Spain? You need to remember the profile of the audience you’re trying to reach. A linguist can adapt a text, on a linguistic and cultural level, to the variety of Spanish you need. 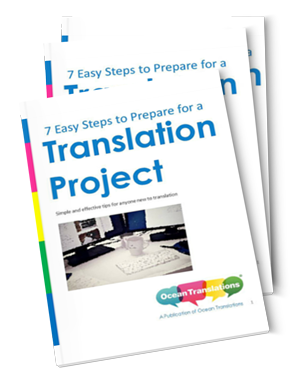 This can help you break down the language barrier, reach new markets and expand your client portfolio. Lots of translation projects involved texts related to a particular field, like the automotive industry, engineering, patent registry, law, medical devices, clinical trials, etc. In that case, after the text has been translated, edited and proofread, it is sent to a subject matter expert. A specialized agency has access to professionals who specialize in a particular industry or issue, who are dedicated to closely examining technical and scientific documents after they have been translated. They make sure that nothing concerning the discipline in question has been changed in the translation process, and that the data and correct terminology are present. If you need to translate a flyer, brochure, book or another graphic element, your translation provider can provide you not only with the text translated into the language of your choice but also with a complete file, ready to deliver or distribute. In addition to taking care of the words, agencies have teams of professionals who are trained in accommodating the graphic design of a document so that it is as close to the original as possible. When you translate from one language to another, the size of the text could increase or decrease by as much as 30%. You can leave making the necessary adjustments to the Layout or DTP office. Do you write in Spanish? Is somebody at your company really good at it? Perfect! In that case, your provider can take care of the revision step only. As you can see, the linguistic offerings of a translation agency are truly broad and go well beyond what you can see on the surface. What’s more, some companies obtain quality certifications so that they can have more thorough control over their processes and offer premium services. And that’s not all. The question is, what do you need? We encourage you to get in touch with your linguistic provider and explain your needs. There’s always an answer and a linguistic solution within reach.